Meet my baby doll. I don’t remember her name. And she’s long since lost her outfit. But, when I hold her, she evokes happy feelings. Pretty powerful for a 1970s plastic known as dublon vinyl. To find out more, all I had to go on were the words engraved on the back of the doll’s neck. They read “(c) 1971 Mattel Inc Mexico.” My next stop was Google search. Mattel (better known for another plastic doll named Barbie ) made a series of baby dolls in the 1970s. Trouble is most of them have blonde, rooted hair. My doll is unique with her plastic hair. 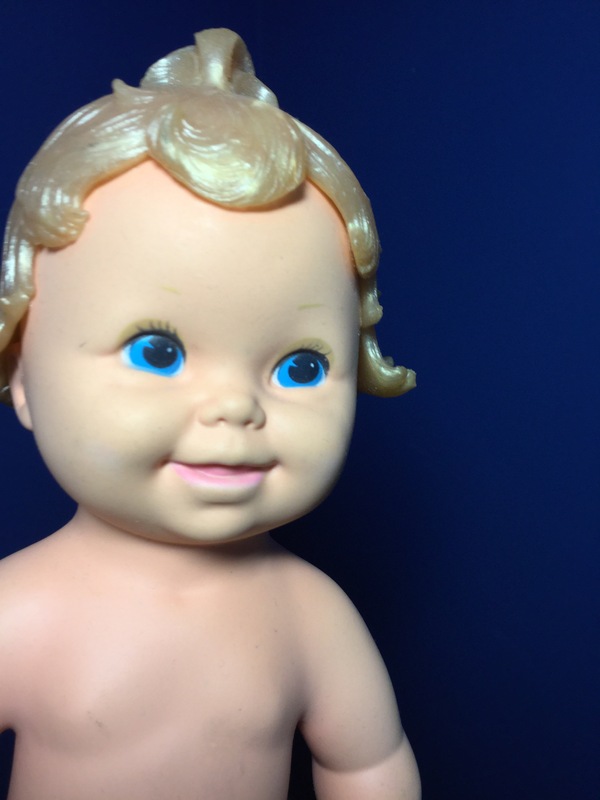 Thankfully, the Doll Collection Connection came to my rescue with details about the variety of Baby Tender Love dolls manufactured in the 1970s. My doll is a Tiny Baby Tender Love. 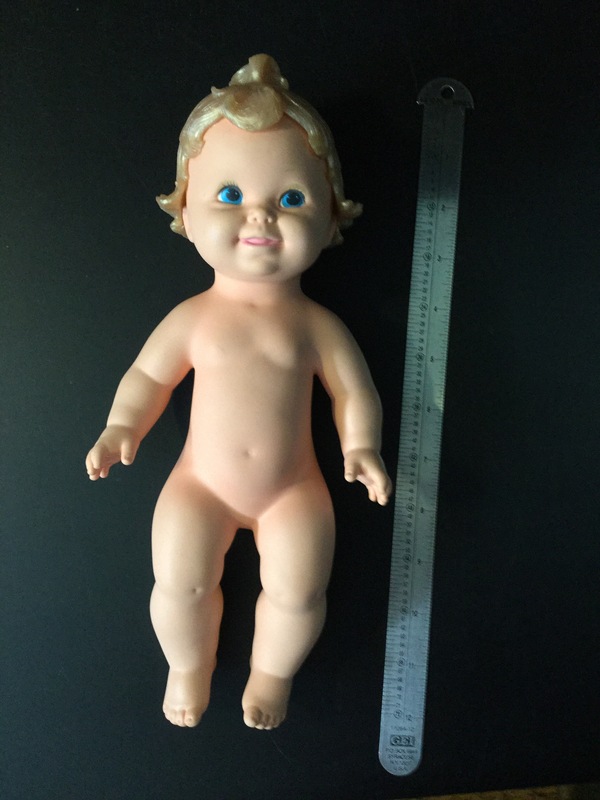 Marketed in 1972 and 1973, these 11 1/2″ tall dolls were the smallest dolls in the Baby Tender Love series. Now, to find a seamstress to make her an outfit! Hello! You know, I accidentally happened upon the picture of this doll today. I had one when I was a little girl and I was looking for her one day but couldn’t find her. Today, I found her! Well not mine – yours. Mine is probably gone forever but now I know a name and maybe I can look for one. Thank you. My mother practically got rid of everything. Lucky you that your mother saved your doll. Recently, I found the Kenner Tiny Tots Treehouse and purchased it. It really made a 40-something year-old very happy! Glad to here it, T. She’s a treasure for sure.